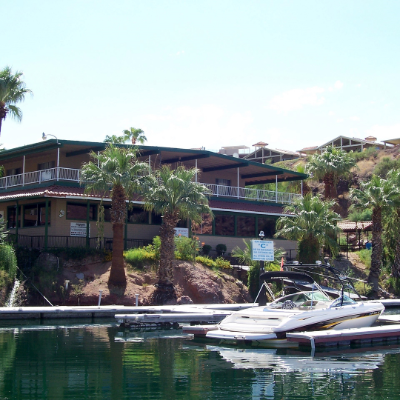 From water sports to hiking trails, Lake Havasu City is known for being a vacationer's paradise. Snowbirding has never been so exciting; RVers will love the myriad of things to do in this resort location. 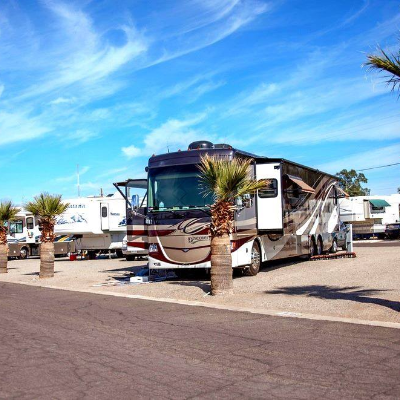 Scroll down on our Lake Havasu City landing page for extensive information on tourist attractions, visitor information, sani-dumps, RV dealers, campsites and more. Lake Havasu is a popular tourist destination because of the calm waters, amazing beaches and sunny desert weather providing more than 300 days of sunshine each year. 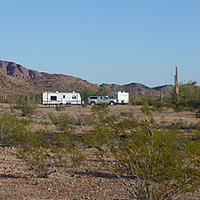 An easy day trip that is located right in a popular RV region, Kofa National Wildlife Refuge is a picturesque find that only a few take time to discover. There are 25,000 snowbirds who winter in Lake Havasu, and plenty of them attend Art at the Lake. Despite a long and dusty drive to get there, The Desert Bar in Parker, Arizona, gives patrons the feeling as if they're living a beer commercial. Dining in Lake Havasu City, Arizona, is always a pleasure, and you will understand why when you see the quality restaurants that are available in this snowbird-friendly community. Cross London Bridge or visit a rum distillery; take a river tour or see a wildlife refuge. 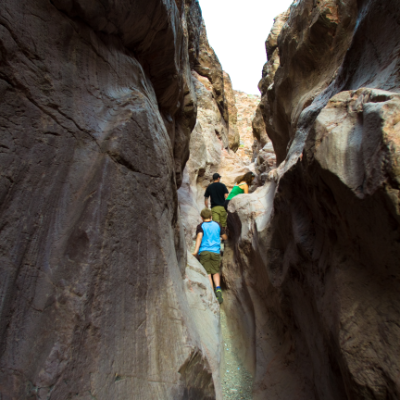 There's plenty to do in and around Lake Havasu City, Arizona. The Bill Williams River National Wildlife Refuge contains the largest remaining stand of cottonwood-willow forests. The area provides important native habitat. A community that prides itself on being a family-friendly vacation paradise, Lake Havasu City is a winning destination. A dynamic history and striking architecture make London Bridge in Lake Havasu City worth visiting.